But oh mama ain't you gonna miss your best friend now? Oh mama ain't you gonna miss your best friend now? More than 150 times Bob used "DOWN IN THE FLOOD" as an intense opener from 1995 to 1997. I enjoyed to see it twice in 1995 (Aschaffenburg and Kerkrade) and once in 1996 (Mannheim). From April 1997 to June 2000 this song took a rest again, before in June and July 2000 "DOWN IN THE FLOOD" appeared ten times in the middle of the show, still intense but differently arranged. We were privileged to see the only European performance of this rocking jewel in 2000 from the first row center in Birmingham, England, where Bob actually chose to sing the following words in consecutive songs: "If you go down in the flood, it’s gonna be your fault ... I’m trying, trying to get to heaven before they close the door". In Birmingham Bob performed "DOWN IN THE FLOOD" also in the same show as “EVERYTHING IS BROKEN”, a combination which he repeated again six months later in March 2001 in Tokyo. Warning words like these reflect a point of view, which sees this world gone wrong as a world full of sin, which is going to be destroyed again. In Ballina, Australia Bob performed "DOWN IN THE FLOOD" for a second time in 2001; and the third performance that year was in Kearney, Nebraska. The fourth appearance of "DOWN IN THE FLOOD" in 2001 was in Blacksburg, Virginia; and again it was followed up (like in Birmingham, England) by "TRYING TO GET TO HEAVEN". As I do not see Bob as someone who picks all the songs for his setlists randomly, I think these powerful juxtapositions by Bob are intentional. The fifth performance of "DOWN IN THE FLOOD" in 2001 in Dalton, Georgia was the third appearance within two weeks; and for the fourth time that year it was following "DESOLATION ROW". Two days later at a huge festival in Atlanta "DOWN IN THE FLOOD" followed the challenging lyrics of "THIS WORLD CAN'T STAND LONG". Another very strong juxtaposition, which Bob repeated during the next two featival shows, both in Nashville and in Memphis. The first European outing of "DOWN IN THE FLOOD" in 2001 was also at a festival, in Roskilde, Denmark; and the second one was at the Montreux Jazz Festival in Switzerland. During the US tour in August 2001 "DOWN IN THE FLOOD" was preceded once more by "THIS WORLD CAN'T STAND LONG". 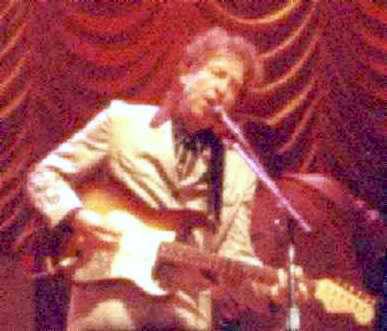 During the fall tour of 2001 "DOWN IN THE FLOOD" did not appear at all in those 35 shows, as Bob Dylan introduced 18 audiences to "HIGH WATER". 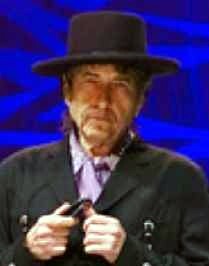 Neither was it performed during the first two legs of touring in 2002; and so it took almost a year until "DOWN IN THE FLOOD" was played again, and once more it was to a festival crowd, as Bob Dylan's first electric song at the Newport Folk Festival in August of 2002. Also recorded in 2002 was the fine version of "DOWN IN THE FLOOD" which appears on the album "MUSIC FROM THE MOTION PICTURE MASKED AND ANONYMOUS". After more than three years, in Karlstad, Sweden, during the third show of the European fall tour of 2005, "DOWN IN THE FLOOD" had a rocking reappearance; once again, as at times in 2000 or 2001, in the same set as "TRYING TO GET TO HEAVEN". "But concerning that day and hour no one knows, not even the angels of heaven, nor the Son, but the Father only. As were the days of Noah, so will be the coming of the Son of Man. For as in those days before the flood they were eating and drinking, marrying and giving in marriage, until the day when Noah entered the ark, and they were unaware until the flood came and swept them all away, so will be the coming of the Son of Man. Then two men will be in the field; one will be taken and one left. Two women will be grinding at the mill; one will be taken and one left. Therefore, stay awake, for you do not know on what day your Lord is coming. But know this, that if the master of the house had known in what part of the night the thief was coming, he would have stayed awake and would not have let his house be broken into. Therefore you also must be ready, for the Son of Man is coming at an hour you do not expect.